Rio Tinto subsidiary Coal & Allied has been hit with a $45000 fine after six megalitres of polluted water from its Mt Thorley-Warkworth mine flowed into a Hunter River tributary. The water run-off happened in February last year when sediment-laden water was released from the mine’s western boundary. The water flowed into a drainage system, which then flowed into Salt Pan Creek, Newport Lagoon, Wollombi Brook and finally into Hunter River, the Newcastle Herald reported. Bulga-Milbrodale Progress Association spokesman John Krey believed the penalty was fair. “This was a major pollution incident and it’s good to see they have been held to account,” he said. Coal & Allied entered a guilty plea in the Land and Environmental Court and was found to have violated section 120 (1) of the Protection of the Environment Operations Act 1997. The court has directed Coal & Allied to publish the violation in newspapers today. The company also has to pay legal expenses of $51,000. 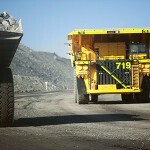 The Warkworth mine site was previously fined for excessive dust that was leaving the site. It was slapped with a $3000 fine after an investigation into “significant dust emissions” from the mine site. This followed a fine in May for failing to minimise dust emissions. According to a Coal & Allied spokesman, the water deposits could not be held back during rainfall despite sediment and erosion controls being in place. “Coal & Allied regrets that during a heavy rainfall event in early February 2012, non-mine affected water containing soil from civil works associated with the erection of a visual bund (as required under Mt Thorley’s Approvals), exited Mount Thorley Operations’ western boundary and flowed into land owned by Coal & Allied,” he said. 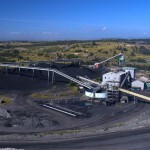 Coal & Allied launched an appeal against the NSW Land and Environment Court’s decision to abolish the Warkworth extension. But the company also said it could be too late to save coal jobs at the Hunter operation.